Maria (40), Manuela (17), Vilma (9), Wilson (4) and Eddy (18 months) Maria and her family live in Chichicastenango, more than a fifty miles away from Guatemala City. Like many indigenous people, they have no land of their own so are unable to live by subsistence farming as they used to. Maria and her four children travel to the city every day by bus, a journey of two hours each way. On arrival at the bus terminal, they buy quantities of fresh fruit, which they cut up into handfuls, put into small plastic bags and sell on the pavement for Q2 (15p) each. They make about £10 a day. 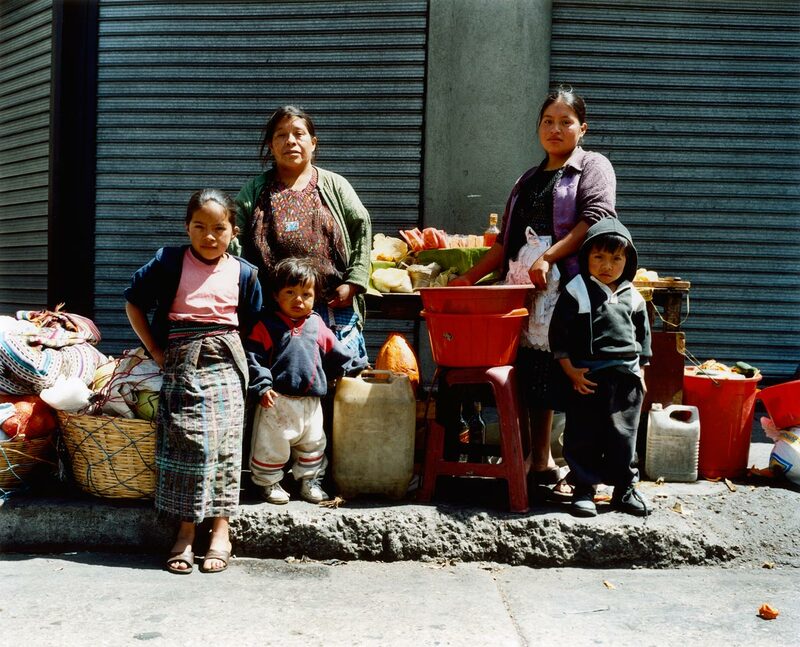 More than half of Guatemala's population is indigenous people of Mayan origin who live in isolated rural areas with little access to education, healthcare or employment. Both historically, and more recently due to the civil war, indigenous families have kept themselves apart from the lowland population through suspicion and fear. As the country becomes more exhausted from years of violence, and the division between rich and poor becomes more acute, people have become increasingly migratory in search of alternative sources of income.